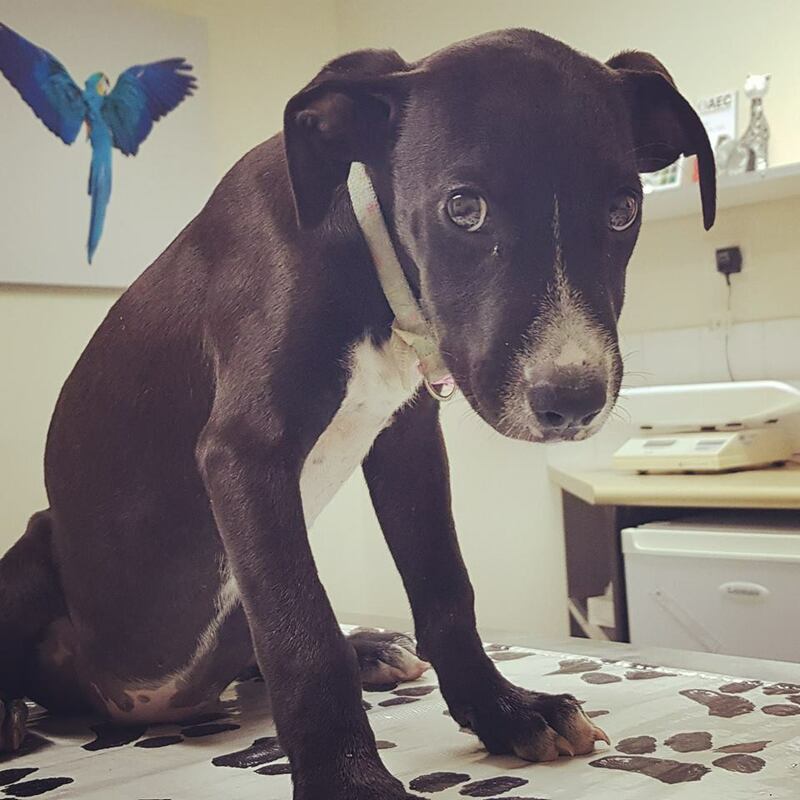 Safe Haven Animal Rescue Inc (SHARI) is a not-for-profit, registered charity that operates in the South East Queensland region in Australia. We are a small group of volunteers working together to save and rehabilitate both dogs and cats and find them suitable forever homes. We take pride in ensuring all our animals are adopted with vet work completed and are placed in their very own perfect forever home! Two weeks ago we were alerted to two litters of puppies in a rural, isolated pound. They had no options, unless a rescue stepped up to save them. We quickly placed a save on these little guys, and arranged their transport to Brisbane. On arrival we were greeted with wormy, scabby little bundles who were in need of a lot of TLC. With multiple meals of high quality food in their tummies and two doses of wormer in their bellies, the future for these little guys was looking up. That is, until one of our pups started to go downhill. Hewitt became lethargic, withdrawn, and wasn't interested in food (not even roast chicken!) We rushed him to the vets, where he was placed on fluids for suspected gastroenteritis. Thanks to lots of care from the vet, after 3 days of treatment Hewitt was home. Today, his sister started to act listless. Then, another pup from the litter. As of 6pm tonight, we have 5 puppies in critical care at two vet clinics. We are keeping a close eye on the rest of the litter, and hope they will progress positively, and continue to gain weight. In the mean time, we need your help. As you can imagine, the bill has already skyrocketed. We are looking at $4000, just for the first 24 hours of care these guys will need. After that, we hope they can come home to their very worried carers. If you can spare a few dollars to help these pups have a chance at life, we would be so grateful. Good luck to all the pups affected! Get well soon beautiful pups. Lots of people love you . Donation from Teddy SHARI rescue dog 2014. Wishing all the wee puppies a speedy recovery. Donating 20 to help these little cuties have a chance at life. Too many animals are euthanised these days. I hope you receive enough to help the puppies out.